More than one-third of older adults with minor head trauma caused by a fall will need to return to the emergency room within 90 days after discharge, claims a new study published in the Journal of the American Geriatric Society. According to data from the Centers for Disease Control and Prevention (CDC), roughly 2.5 million older adults are sent to emergency departments nationwide due to injuries sustained from falls. “Falls cause 61% of injuries in adults aged 65 and older and are the most common cause of death in older adults,” said Dr. Lauren Southerland, lead author of the study and an emergency medicine physician at Ohio State University’s Wexner Medical Center, citing data from the National Trauma Data Bank. 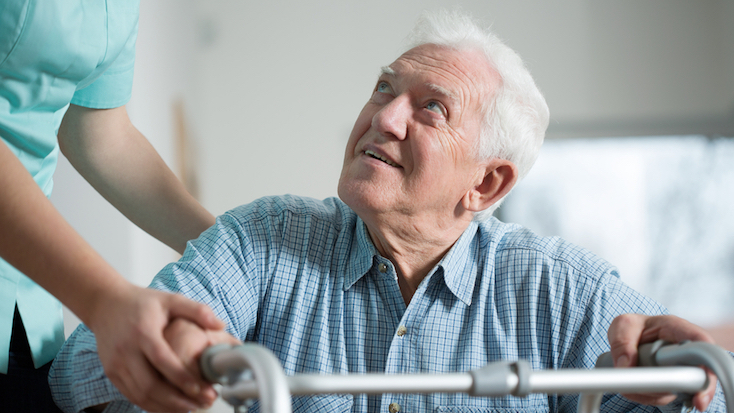 Despite such high numbers of hospital admissions and readmissions, the true prevalence of falls among seniors may be (and quite likely is) much higher because many victims simply do not report falls. The “sad irony”, as one author puts it, is that many of the causes of falls among seniors are preventable. This includes issues related to non-adherence to discharge plans or medication prescriptions, safety hazards in the home, untreated illnesses, or actions as simple as reaching for household items. Simple interventions in the home, she said, could go a long way, citing tasks as simple as removing trip hazards and rearranging furniture, ensuring all living spaces are well-lit, and hiring someone to assist the senior with everyday tasks.